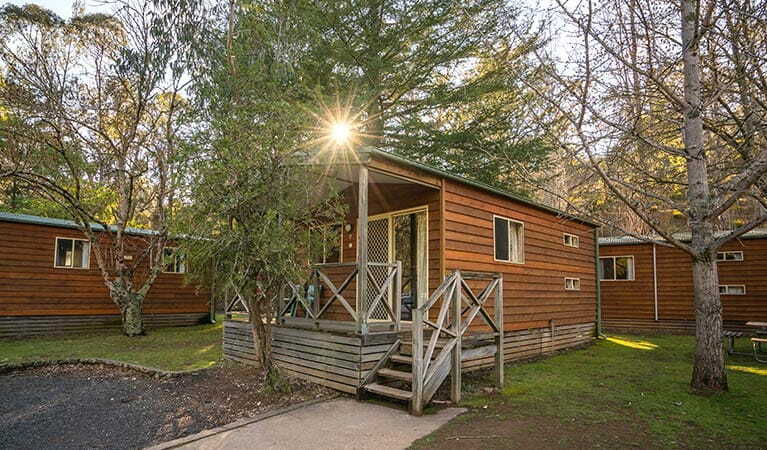 Explore the mysterious caves at Wombeyan Karst Conservation Reserve and stay in one of these self-contained cabins. 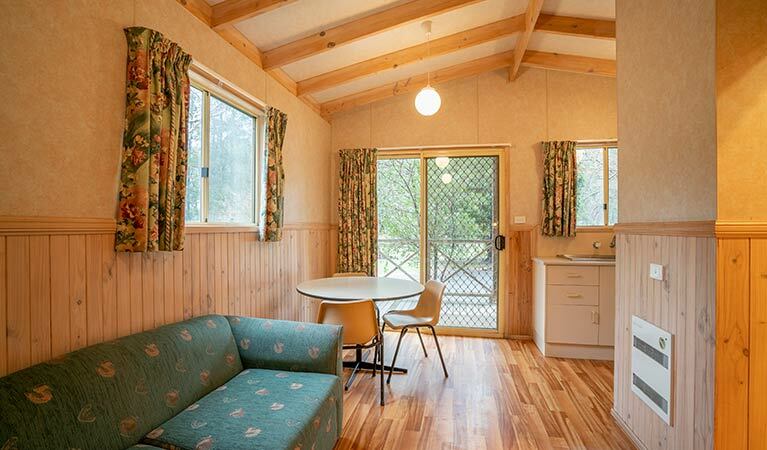 It’s a great spot for a weekend break with the family. 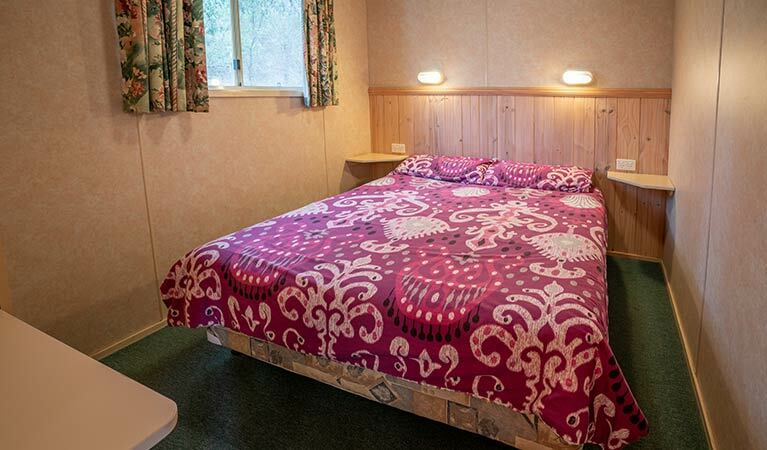 Rates and availability are displayed when making an online booking. Minimum stays may apply. 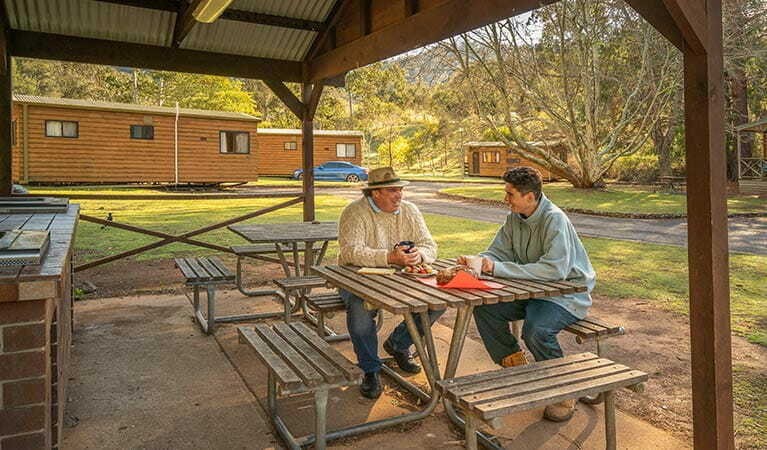 Camping is available at Wombeyan Caves campground. 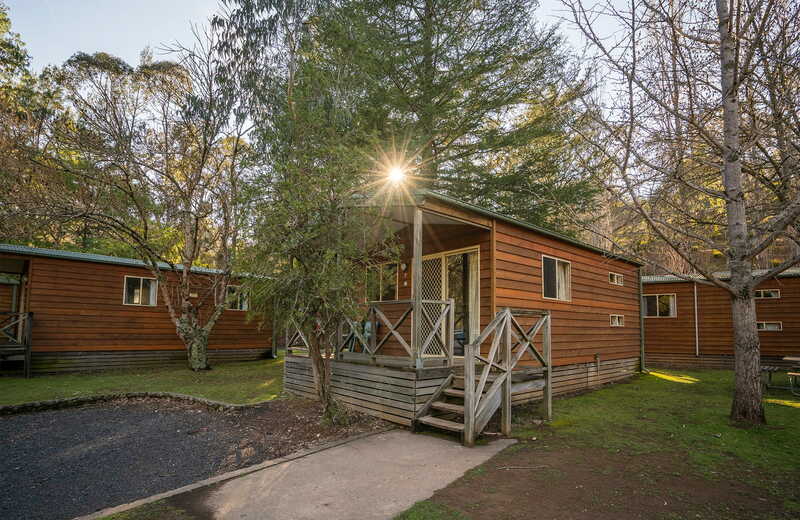 Wombeyan Caves dormitories and Post Office Cottage offer additional accommodation. 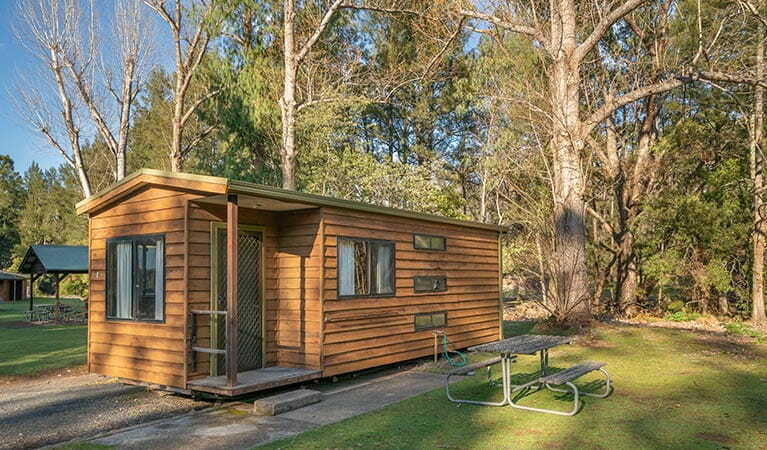 Take advantage of this secluded little spot and book a weekend away in one of the cosy cabins at Wombeyan Caves. 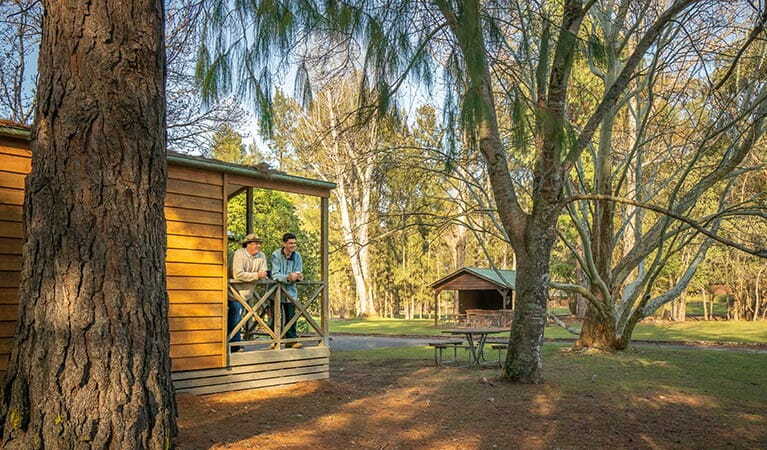 Wake up to the call of magpies and lyrebirds, explore the caves, and take a bushwalk along one of tracks in the area. 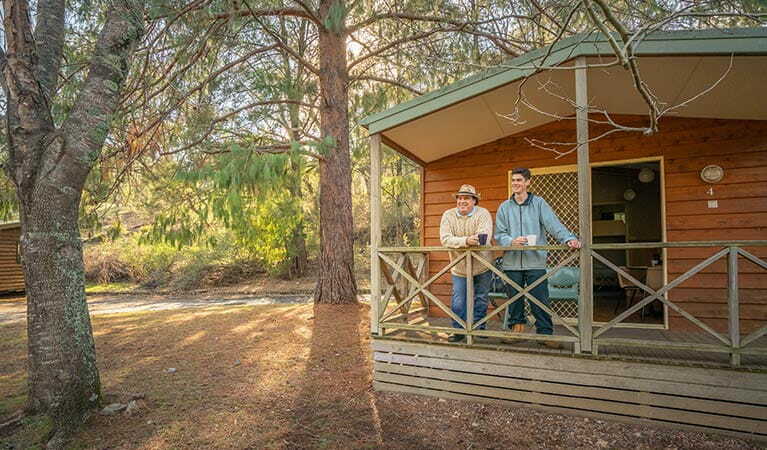 Then put your feet up on the balcony and relax while the resident kangaroos and satin bowerbirds pass by. 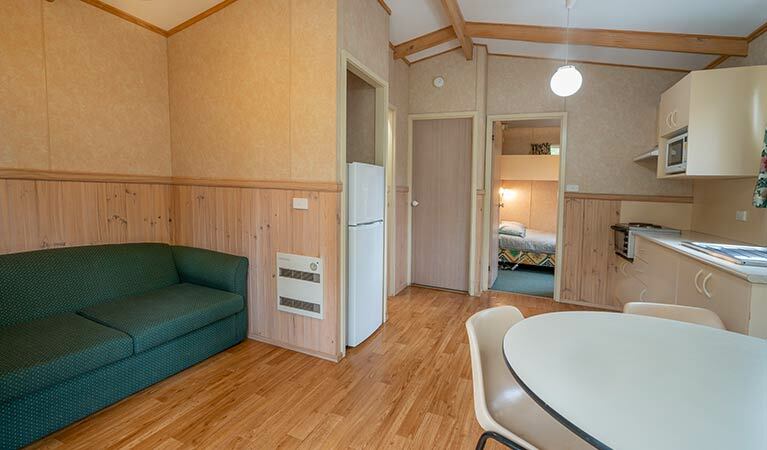 The cabins are self-contained, so all you need to bring is some linen and delicious food, which you can prepare to enjoy in the beautiful surrounds. 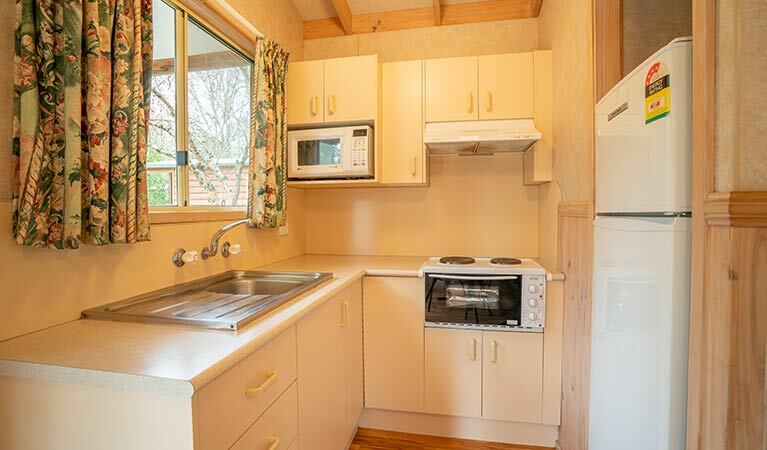 Take advantage of the outdoor barbecue area while the kids are entertained with the play equipment nearby. 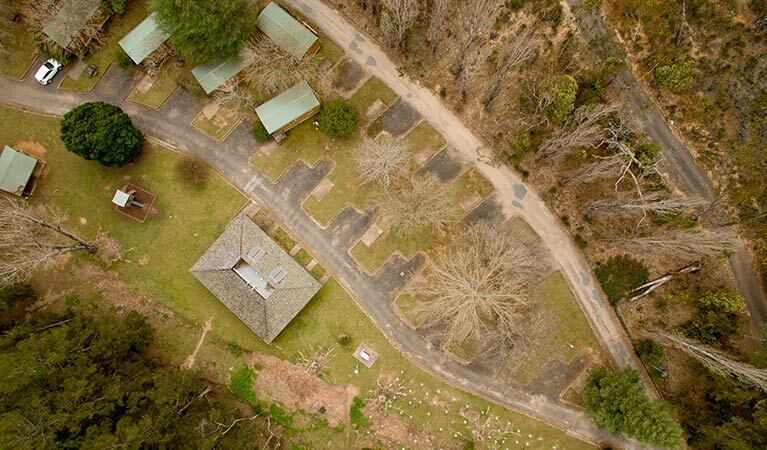 Whether you come with friends to relax, or bring the whole family for some quality time out in nature, Wombeyan Caves is a great place to be.